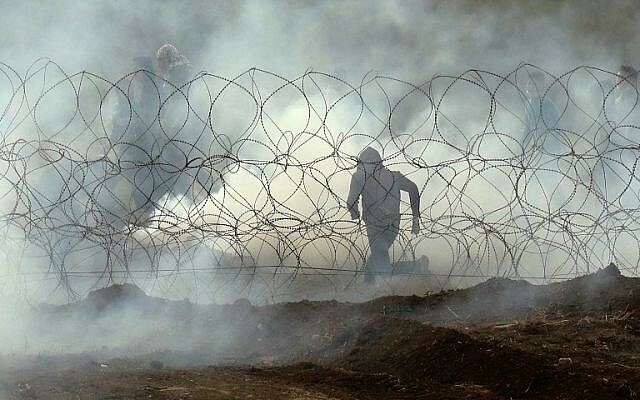 The Israeli military and political leadership expressed satisfaction Saturday evening after the one-year anniversary of the “March of Return” border protests, which coincided with Palestinians’ Land Day, ended with relatively little violence. During the protests Hamas actively worked to keep protesters away from the security fence as part of apparent understandings with Israel. He said Israeli forces had observed hundreds of Hamas members wearing orange vests spread out between the crowd and the fence, preventing the masses from rushing toward the border. The IDF spokesman claimed that the army’s conduct in response to last week’s rocket fire, including the air strike that hit the office building of Hamas leader Ismail Haniyeh, also contributed to the day’s relative calm. “These [strikes] made it clear to Hamas where [violence] would lead them,” Manelis said. Channel 12 news reported that Hamas believed it had lived up to its obligations, and would now wait to see whether Egypt and Israel would follow through on theirs. He said the organization’s main aim was “to remove the blockade” on Gaza, which Israel and Egypt have enforced since the group took over the territory from Fatah in a violent coup in 2007. Israel says the blockade is necessary to prevent Hamas, a terror group that openly seeks to destroy Israel, from acquiring weapons it will use to attack it. 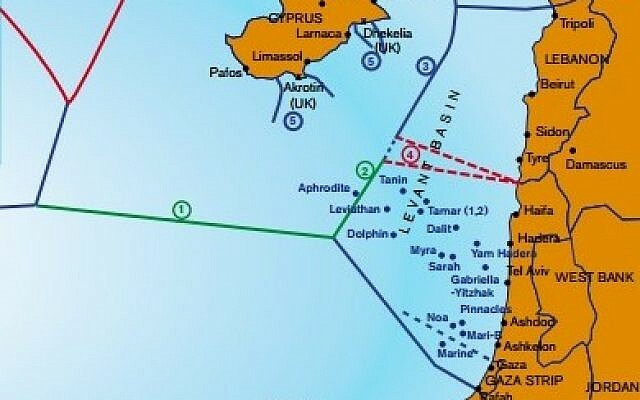 According to the Haaretz newspaper, further moves could include transfer of international funds to the Strip and jump-starting stalled infrastructure projects in the areas of electricity, sewage and water. Palestinians with knowledge of the talks said that as part of the proposed deal, Gaza protesters were to keep away from the fence Saturday and Israeli troops were to hold their fire. Ministers Naftali Bennett and Ayelet Shaked of the New Right party vowed Saturday evening to vote against any long-term ceasefire deal if such an offer were to be brought to the security cabinet. “Israelis are feeling humiliated,” they said after the protests. Hamas leaders “Sinwar and Haniyeh are celebrating victory, with no fear that Israel will eliminate them. That is not how deterrence is created,” the ministers said. Bennett added that Sinwar should have been eliminated long ago. Retired army general Yoav Gallant, Likud’s Minister of Immigration and Absorption, claimed Saturday that Hamas had capitulated to Israeli demands to curb the violence in exchange for humanitarian gestures. 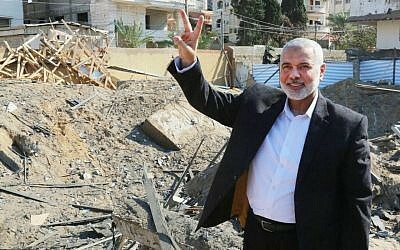 He dismissed images of Hamas leaders celebrating, noting that Haniyeh had flashed a victory sign atop the ruins of his Gaza headquarters after the military destroyed it earlier in the week. 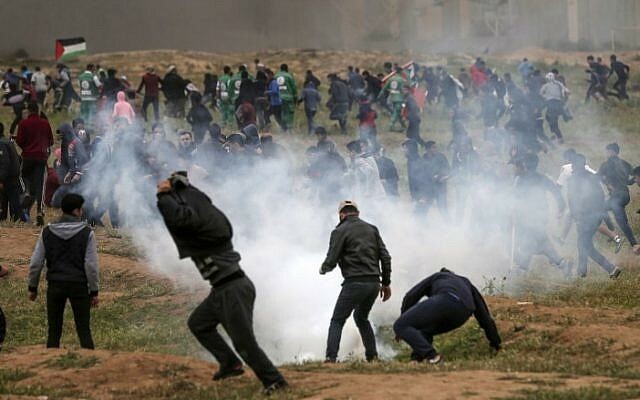 The enclave’s Hamas-run health ministry said three 17-year-old Palestinians were killed during the protests, while at least 300 were injured. Another Palestinian was shot and killed in the early morning before the main demonstration began, reportedly as he approached the border fence during overnight protests. The Hamas-run interior ministry said it had deployed 8,000 security personnel along the border to prevent demonstrators from approaching the fence, Army Radio reported. Channel 12 said this was the first time in a year that Hamas had acted in this way to keep a check on the protests. By evening most of the protesters had dispersed, while organizers said the weekly events would continue into a second year and resume next Friday. A spokesman for Hamas warned Israel that the terror group would respond if Israel did not honor “understandings” regarding the border. Hamas’s leader in Gaza Yahya Sinwar said the next year of protests “will not be like the last” and chanted of rockets potentially hitting Tel Aviv if violence escalates. “We are following every crime Netanyahu commits and we won’t shy away from any effort to protect our people,” he said. Saturday’s protests saw no major attempts to breach the fence, and despite the high turnout the rally remained on the level of some of the previous weekly protests this past year, rather than the fiercer riots for which the IDF had been braced. Channel 12 news said two boys, aged 8, crossed the border, one of them carrying a knife, and that they were sent back by troops into Gaza. 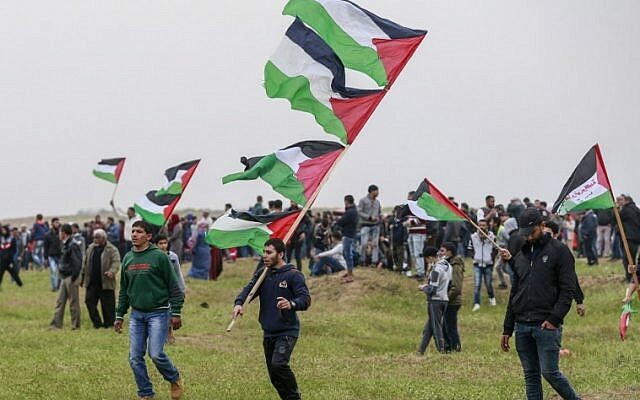 Hamas had called for “a million” people to march on Saturday, but the under-50,000 turnout appeared to satisfy the group. 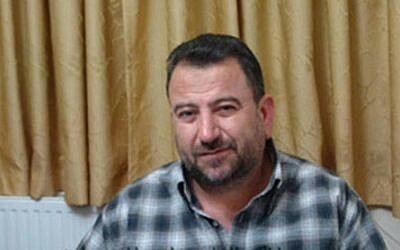 Senior Hamas official Bassem Naim called Saturday’s protest “a very important message” sent from Gaza today to all parties, mainly the Israelis and the international community. Israel had warned Palestinians against approaching or breaching the security fence during Saturday’s border protest. Through phone calls, messages, public statements and pamphlets dropped from aircraft, the IDF told residents of the Strip that any attempts to break through the border fence would be met with live fire. The IDF’s Arabic-language spokesman on Saturday appealed directly to Gazans, saying benefits could be in store if they refrained from violence. “According to Palestinian reports, if you don’t act violently or with terror today, significant measures will be implemented that can improve a variety of civilian fields in the Gaza Strip,” Avichay Adraee wrote on Facebook. 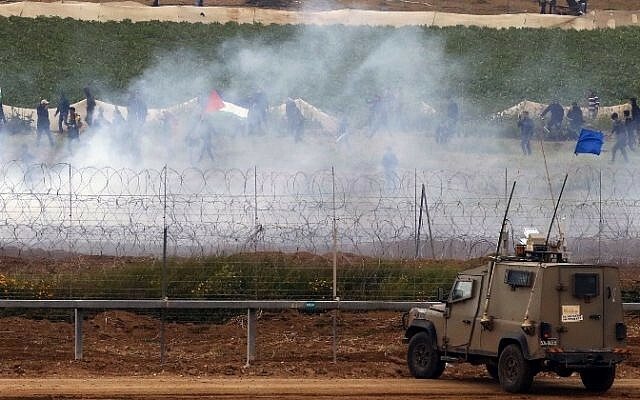 The Israeli military’s primary concern in the March of Return protests is that large groups of people will break through the fence, armed with guns, grenades and knives, and either enter one of the Israeli communities located a few hundred meters from the border and attack those inside, or try to abduct soldiers stationed along the security fence. Israel maintains that the Hamas terror group appropriated the march campaign for nefarious purposes, using the civilian protesters as cover for violent military activities. Netanyahu, who also serves as defense minister, is seeking his fourth consecutive term in April 9 elections, but is facing a serious challenge from a group of ex-army chiefs who have criticized what they say is his failed Gaza policy. He is also coming under attack over his policies from members of his coalition, including Education Minister Naftali Bennett, who has repeatedly called for wider military action in the enclave. Hamas, meanwhile, faces growing unrest in Gaza, as a result of worsening humanitarian conditions.